Explore millions of royalty-free stock photos and vectors at great prices. Download the photo instantly after purchase. 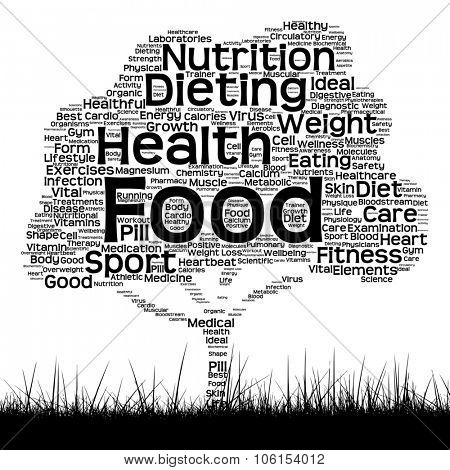 You can use this stock photo for your creative project related to 'Concept or conceptual black health text word cloud as tree and grass isolated on white background'.